Whether you want to start a career as a make-up artist or to learn how to do it yourself, learning makeup techniques is an awesome idea. Being able to play around with the different colors and transform someone’s face is really fun and rewarding. However,this ability does not come naturally to anyone. Make up can make someone beautiful or scary depending on how it was done. This is why makeup application technique courses are important. 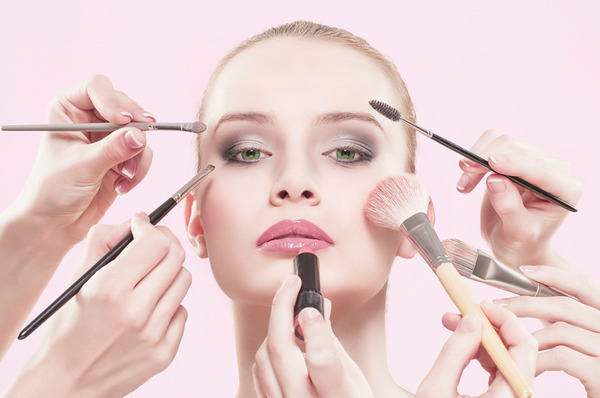 Almost every beauty school offers a variety of these courses and one can get them online too. Learning how to care for different types of skin from cleansing to moisturizing and what kind of makeup is needed. Learning the types and categories of makeup. Students are taught the makeup normally used for normal days and those used when someone has a certain condition such as pimples and acne. They are taught how to prepare the skin before applying make-up and how to make the makeup remain beautiful all day long. Facial characteristics of different people and learning how to play with them.Learning different skin tones, selecting the right brushes and tools and learning how to take care of them. There are different brushes for every application including foundation, concealer, powder, blush brush, blending and flat eye shadow brush. There is also lip brush and precision angle brush for that perfect look. Basic application techniques. These include simply knowing what products to start with and what follows in that order. Basic makeup application is for daily use to make you look flawless and to hide any flaws you may have. These focuses on getting extra effect with makeup such as false lashes, contours, shaping eyebrows, air brushing and utilizing light for great effect. Advanced makeup application is used on models during photo shoots, brides on their weddings and celebrities when performing. However, some people just enjoy having exaggerated makeup in their daily lives. Students are taught how to start great careers in the makeup industry whether it’s selling makeup or application to clients. The course tackles how to write business plans, create a portfolio, website and advertising. A regular makeup application techniques course usually takes three months to complete. However one can do it in shorter time. They teach amazing techniques that can be used in everyday life and to open up great career prospects.